Did you know that over 60% of menopausal women are affected by Dry Eye Syndrome (DES) and don’t even realize it? Yes, they know that their eyes burn and are dry, red and irritated. And they know that sometimes their eyes even water excessively in an effort to soothe that irritation. But they don’t know that women are two to three times more likely to be affected by DES than men. Dry eye syndrome is among the most common eye conditions in the United States. What is it? 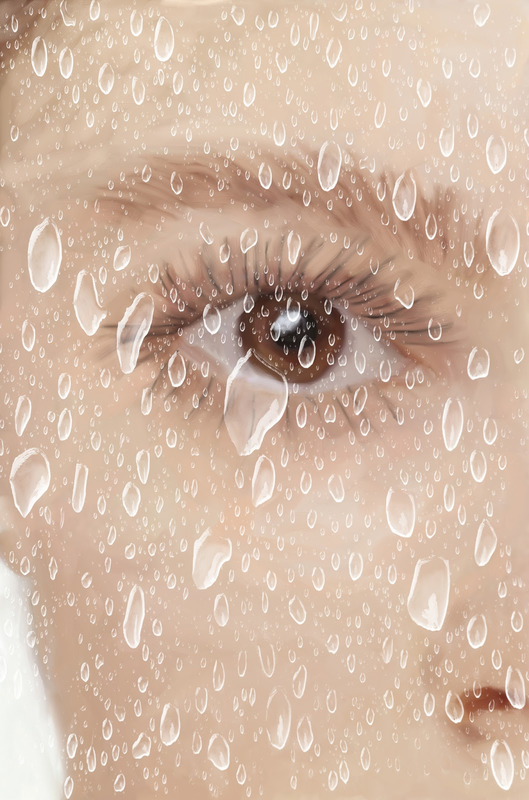 In healthy eyes, a thin layer of tears coats the outside surface of the eye, keeping it moist and washing away bits of debris that might fall into the eyes. Dry Eye Syndrome occurs when the eye doesn’t make enough tears, or making tears that evaporate too quickly, leaving the eyes dry and vulnerable. Dry eye syndrome may sound like more of a nuisance than a serious problem, but if left untreated, DES can inhibit your everyday lifestyle, and in severe cases, can even result in permanent loss of sight. Patients can find effective dry eye treatment in Sarasota here at The Eye Associates. Set up your first consultation with our eye experts to discuss treatment plans by calling 1-866-865-2020. A: Your eyes and brain reacting differently to electronic characters on a computer screen or a handheld device than they do to characters on a printed page. Healthy eyes can easily maintain focus on most printed materials, which are typically dense black characters with well-defined edges against a white background. Characters on a digital device, however, don’t have the same contrast or well-defined edges. The pixels are brightest at the center and diminish in intensity toward the edges. This makes it very difficult for the eyes to maintain focus. Instead, the eyes strain to regain focus on the screen. This continuous flexing of the eyes’ focusing muscles creates fatigue, and many times a burning sensation. Also there have been extensive studies that show that people tend to blink less while viewing a computer screen. Decreased blinking can cause the eyes to dry out, leading to major discomfort. Making matters worse, many work environments include relatively dry air currents that also increase tear evaporation and dryness in the eye. Add all this together and you have a tough day-to-day work environment. Gunnar Computer Glasses can aid you in your work day and help keep your eyes more comfortable. Not all optical shops have access to this high technology so stop by The Optical Gallery closest to you and see how we can improve your vision and your work life. Q: Why do computer users need Gunnar digital eyewear? Over 25 million people are using some type of digital device all day every day. This never ending stream of digital information can lower visual performance and cause Digital Eye Fatigue (DEF). Symptoms of DEF include blurred vision, eye strain, dry eyes, double vision, light sensitivity and headaches. Q: What relief has GUNNAR glasses given computer users? Q: How do Gunnars accomplish this? The GUNNAR i-Fi™ lens coatings blocks out the glare of artificial lighting, sunlight, the computer screen itself and surrounding surfaces. The GUNNAR fRACTYL™ lens geometry aids the natural focusing power of the eye that allows the cilliary muscles to relax. Additionally, the wrapped geometry of the lens sits close to the eye and face, effectively creating a “microclimate” – keeping the eyes from drying out so much. The GUNNAR iONik™ lens has a specially formulated tint that limits distracting blue light. This tint serves to increase the contrast of the letters and the background, so the images “pop”. Gunnars come in a wide range of great looking frame styles. Stop by The Optical Gallery to see how you can make your work day easier. A study at the University of Alabama, School of Medicine compared the accident rate of drivers with cataracts who declined to have cataract surgery against the accident rate of patients who had their cataracts removed. Researchers concluded patients who chose to have cataract surgery had 50% fewer accidents than those who did not have their cataracts removed. Driving represents freedom and enables people to travel wherever and whenever they wish. Unfortunately, the ability to drive safely can be challenged by a decline in vision caused by cataracts. Having cataracts makes it difficult to see the road, street signs, pedestrians, and other cars. This is especially true in the rain and at night when headlight glare can be blinding. 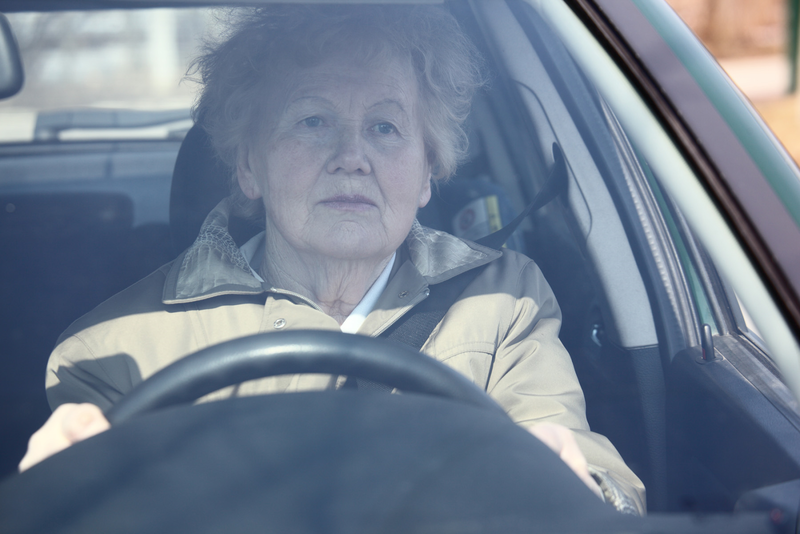 Driving is a big lifestyle issue for seniors. The fear of losing their driver’s license and their independence is often the reason given for deciding to have cataract surgery. The Eye Associates’ cataract surgeons are among the most skilled and well trained surgeons in the United States. Call 1-866-865-2020 for a cataract evaluation with Dr. Robert Friedman, Dr. Cathleen McCabe or Dr. Brian Foster. Imagine living your life without the hassle of glasses or contact lenses. LASIK surgery is one of the greatest breakthroughs in vision correction technology today. With wavefront guided laser technology, many patients experience even better vision than they ever had with glasses or contacts. Patients of The Eye Associates can be assured that they will receive accurate evaluations, honest opinions and the most effective surgical recommendations for their personal needs. We use the most advanced technologies and techniques for laser vision correction surgery, including NASA-approved wavefront technology for Custom LASIK. The combination of comprehensive training and experience with the latest technology laser system ensures optimal LASIK outcomes. The surgical suite is equipped with the VISX Star 4 excimer laser, considered by many experts to be the best laser for LASIK eye surgery. The VISX Star 4 laser features a 3-D eye tracking system, iris registration, the latest wavefront technology and SmartBeam technology, which adjusts the laser beam size based on each individual treatment, thereby minimizing the amount of corneal tissue removed during LASIK surgery. The VISX Star 4 was designed to provide patients with maximum safety, precision, a speedy recovery and the best possible vision correction results. Whether you are nearsighted, farsighted or have astigmatism, LASIK can help! Even if you’ve been told in the past that you are not a candidate, technology advancements may now make you a good candidate. Call 1-866-865-2020 for a FREE LASIK screening today with Dr. Cathleen McCabe or Dr. Brian Foster! In 2001, Age-Related Eye Disease Study (AREDS) researchers reported that a nutritional supplement called the AREDS formulation could reduce the risk of developing advanced age-related macular degeneration (AMD). In 2006, the same research group, which is based at National Institute of Health’s National Eye Institute, began a second study called AREDS2 to determine if they could improve the AREDS formulation. They tested the following: adding the antioxidants lutein and zeaxanthin, adding omega-3 fatty acids, removing beta-carotene, and lowering the dose of zinc. Why did they change the AREDS2 formulation? Parkinson’s Disease (PD) is difficult enough but when one’s world is blurry, it can greatly add to the frustration and interfere with daily activities. Common visual complaints of PD patients are blurry vision, double vision, decrease blink rate, altered tear film and eye tracking difficulties. People with poor vision stop participating in stimulating activities, become depressed, and withdraw from others, making good vision especially important for those with PD. Appropriate vision intervention can often help. The Eye Associates’ doctors are well trained in the sensitivities of dealing with Parkinson patients. We feel strongly that good vision is especially important for them and will take the time to deal with their visual complaints.